The Golden State Warriors’ sharpshooter, Klay Thompson, isn’t your typical NBA All Star. His character is reserved, down-to-earth and humble. His success is a product of extraordinary work ethic, fearless competitiveness, and relentless consistency. For some, he might come off as shy, but he means business. In my experience working with Klay, I have found that his ego is small, but his self-confidence is well in tact. 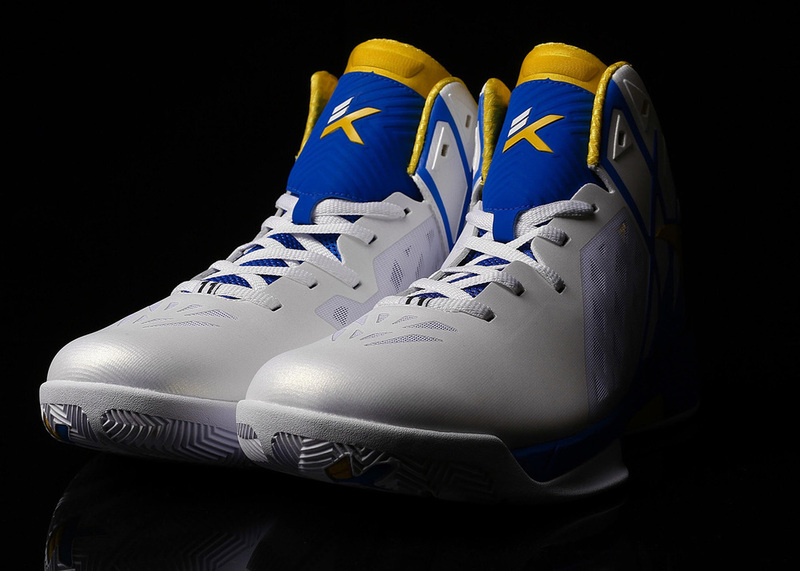 As the USA representative and creative director for Anta’s NBA athletes, it was my job to develop Klay’s signature on-court shoe. Having designed dozens of athlete’s shoes throughout my career, I have developed a design process for projects like these. It requires a deep dive into each player’s unique character, spending time understanding the subtleties of their personality, and what they think is cool and are inspired by. In this way, I translate the athlete’s personal style into a shoe. The process is much like designing footwear for a particular demographic, where a designer will study a day in the life of a particular consumer. As with all of the NBA athletes, I work to produce a product that they can call their own, derived from true individuality rather than just something that is cool and trendy. 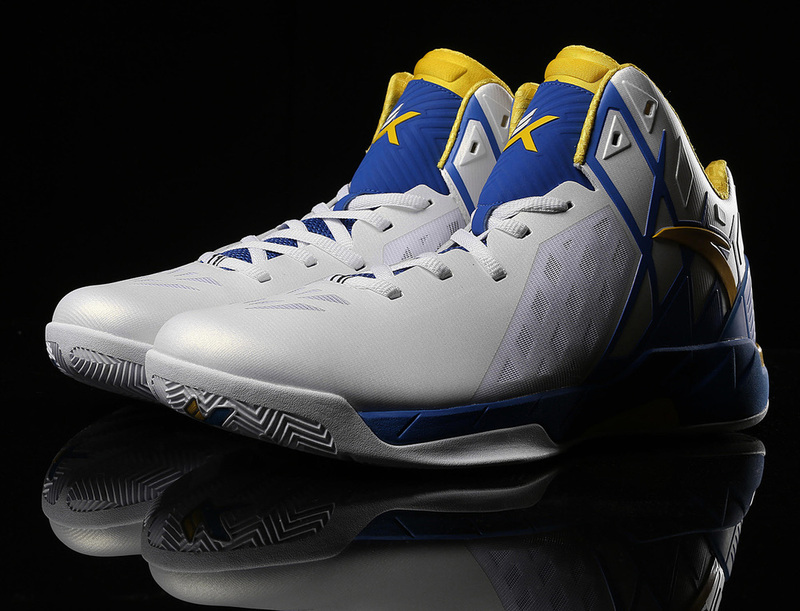 However, as I began to work this process on Klay’s shoe, I hit a serious creative block. Most of the time these athletes have very eccentric personalities, making it straightforward to decide on a design direction. But as I mentioned, Klay’s understated and easy-going personality is unlike any other NBA player I had worked with. So after hours of research and several in-person interviews with Klay, I was stuck and unable to develop a unique point of view for this project. As much as process is essential, any creative will admit that sometimes inspiration just spontaneously appears, and when it does, I have found it best to be as open and clear headed as possible. Anxiety, stress, and fear are like kryptonite to the creative process. These emotions typically cloud the psyche with negativity, reducing the ability to see new perspectives. Given that I had only a few weeks until I needed to submit a design proposal, I could have easily slipped into a state of panic, but, as many know, I am an eternal optimist and love the chase of a new idea. So I decided to fly out to the Bay Area to watch Klay on the court in person. I can usually learn a lot from seeing an athlete in their own element: The way they move, their stance and posture, and their style of play. 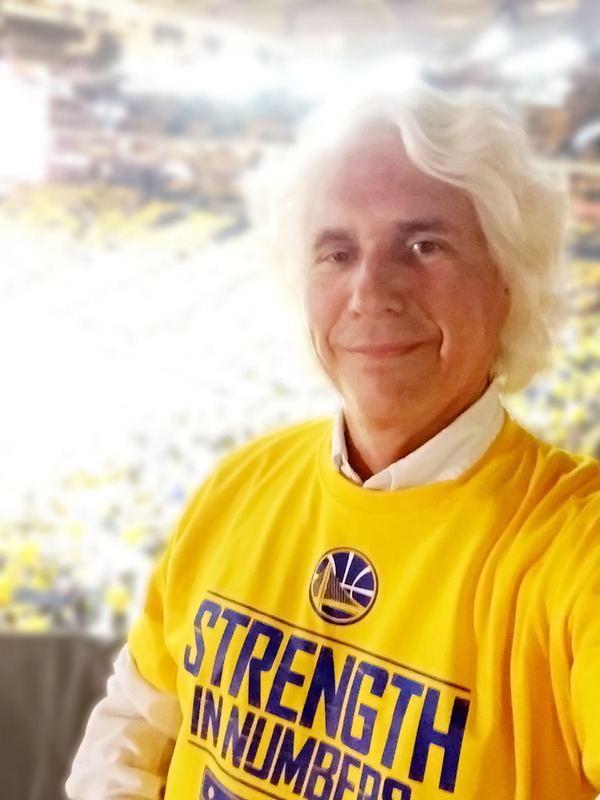 During the game, I scrupulously observed Klay’s dynamic. Halfway through the second quarter, I was thinking, “Wow, he hasn’t taken very many shots.” Before I could complete that thought, I glanced up at the scoreboard was shocked to find that he had actually scored 20 points. Then immediately, it hit me: Klay Thompson is a hawk. He hovers quietly, strikes quickly, and makes a seamless retreat back to his surroundings with little to no fanfare. His sleek and effective manner of playing the game is the driving characteristic that was in front of me the whole time. 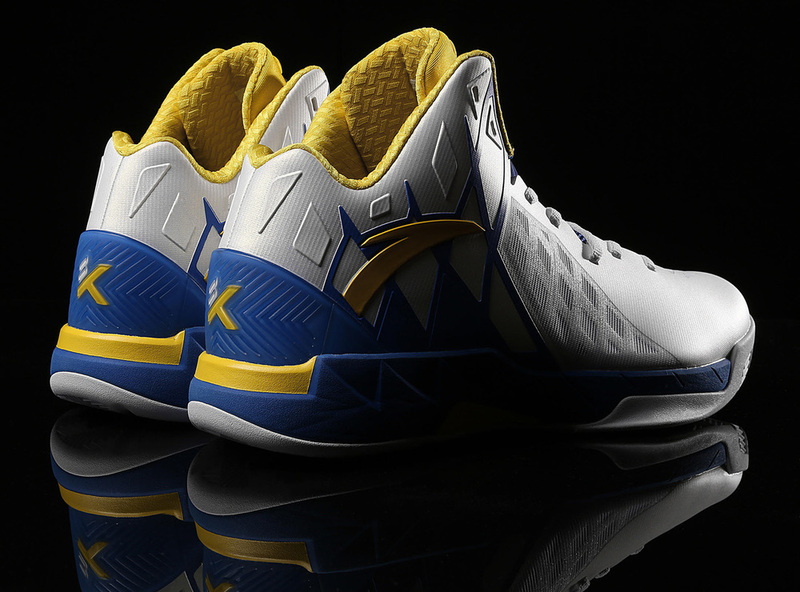 Thus, the imagery of a hawk became the driving theme and source of inspiration for the design of the current model of Klay’s shoe from Anta, the KT1. During the design process, this imagery was used to build a unique framing on the shoe. 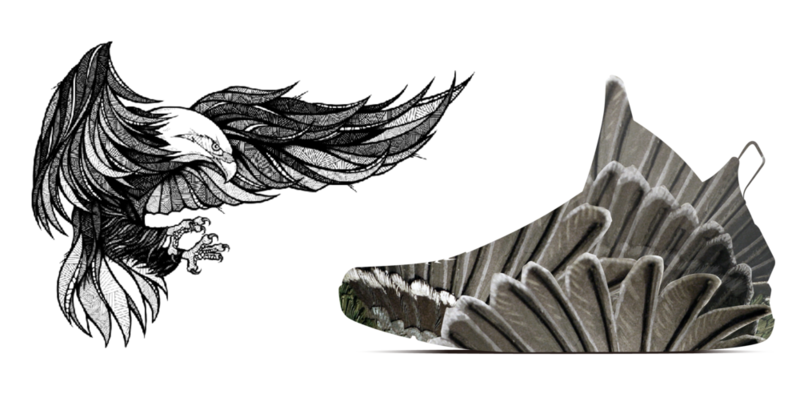 The sharp angles and lines are drawn from the bird of prey’s wingtips when flared out. The feathered lattice aesthetic was carried into the mid-foot area in the form of large angular mesh vents that also serve as a functional feature allowing heat from the foot to escape. At the same time, many associate this cross hatched look with the aesthetic of a basketball net, which of course is where most of Klay’s shots end up. Similarly, when creating Klay’s logo, much care was given to the design. The logo subtly incorporates his initials (the yellow segment forming a “T”) as well as his jersey number (the slashes forming an “11”) in one singular image found on the tongue and heel. While the creative process can be treacherous at times, it is a truly magical one. Once the source of inspiration is found, all the elements seemingly fall into place. For these moments I am grateful and it is this magic that fuels the love for what I do. Concept 21 is proud to represent such an outstanding athlete and wish Klay and the rest of the Warriors the best of luck in the playoffs.